Home / brand new / brand new artist / Donny Evans / música / Donny Evans Releases Seductive New Single "Temptations"
Donny Evans Releases Seductive New Single "Temptations"
Atlanta-based singer/songwriter and electronic musician Donny Evans has just released his brand new single Temptations. This seductive piece of soulful-pop music was produced by Zack Odom and Kenneth Mount (Nappy Roots, Usher and Mayday Parade). 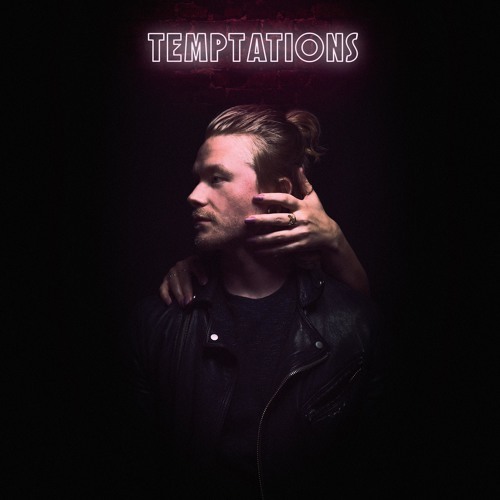 Loving the infectious melody, killer synth works and how smooth and sensual his vocals are. Stream this gem below! This song can be summed up in two words; vulnerability and desire. Although ‘Temptations’ speaks to intimacy, it does not shy away from our more primitive, lustful behaviors. The track begins with slow, sensual pulses that later climax into faster, more intense instrumentation, symbolizing the song's overarching theme. I want the music to tell the story as much as the lyrics do. Donny is the former lead singer of the rock band Settings, and Temptations marks his first solo project after taking a hiatus from the music industry to become an astrophysicist. Wow! Donny is working on an EP set to arrive later this year.